StockMohr People Make the Difference. With more than 1,000 homes resided in Western New York, StockMohr has built a reputation for making customer satisfaction its number one priority. Family-owned and operated, StockMohr has been a member of the Better Business Bureau for more than two decades and is also a member of the Home Improvement Council of Western New York. We are not an out of town/state franchise. StockMohr Siding Installers are experienced, full-time career professionals. Their experience and skill level allow us to tackle the toughest of siding jobs. 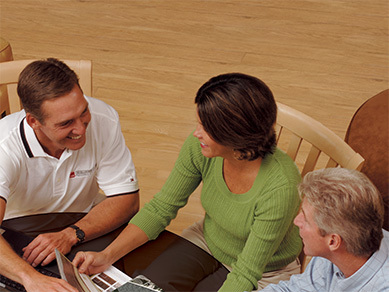 Training from manufacturer reps keep them in-the-know on the latest installation techniques. StockMohr sales professionals will show you all the styles and colors, help you weigh the benefits of various options and explain the steps that need to be taken to complete the project. Visit our showroom at 8645 Roll Rd., Clarence Center, N.Y. 14032 (off Transit Rd.) to see all the Siding styles, Colors and Trim options available. With quality siding, insulation and trim and StockMohr's dedication to excellence, your siding project will result in a wise investment. 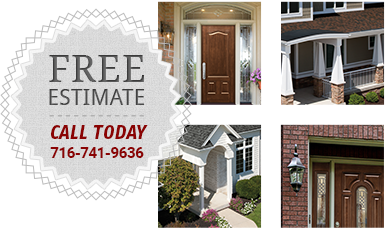 Call StockMohr today (716-741-9636) for a free estimate - you'll be glad you did!